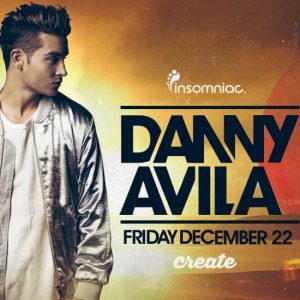 To have achieved what Danny Avila has at the age of 21 is phenomenal enough. But to have done it with such integrity and passion is something even more special. With a feisty production sound that has seen him release music on Interscope, Sony/Columbia, Spinnin’ Records, Dim Mak and Musical Freedom and a similarly varied unique DJ style that takes in techno, house and EDM, he is a breath of fresh air in a world where too many artists are happy to stick to a single formula. Danny Avila is passionate about music, and it shows. In Danny’s eyes, dj’ing is a form of art, and a way to take people on a journey. This mentality has been a rewarding one to say the least; his #60 position in the revered DJ Mag Top 100 2015 is the perfect validation. What’s even more remarkable is that Danny is the only Spanish DJ in the entire list. On top of that, he’s one in three of the list that’s under the age of 21, alongside Martin Garrix and Oliver Heldens.